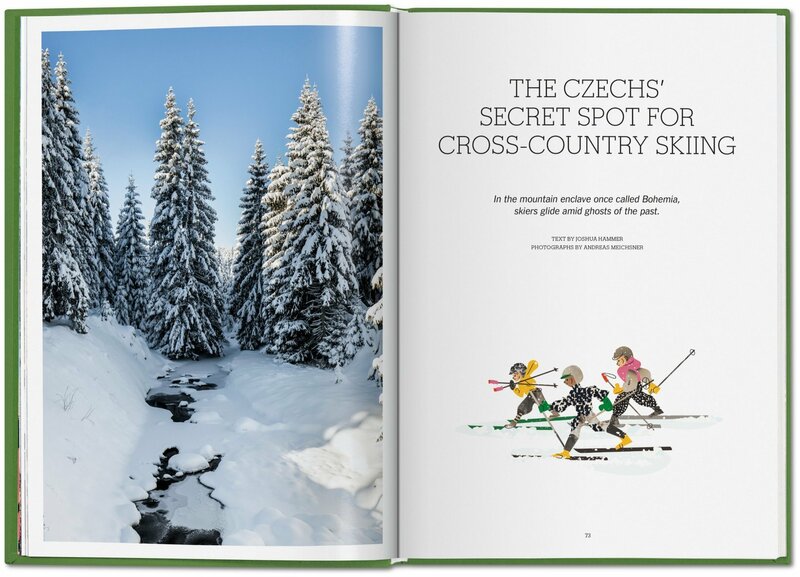 Whether it’s a snowy trek through Bohemia’s remote Jizera Mountains or a cruise across the Great Lakes on a cargo ship, the journey itself is the destination in the Road, Rail & Trail volume of TASCHEN’s Explorer series. 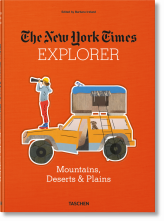 First-person narrative and postcard-perfect photography will inspire you as you sit back and let The New York Times transport you to both far-flung and familiar locales. 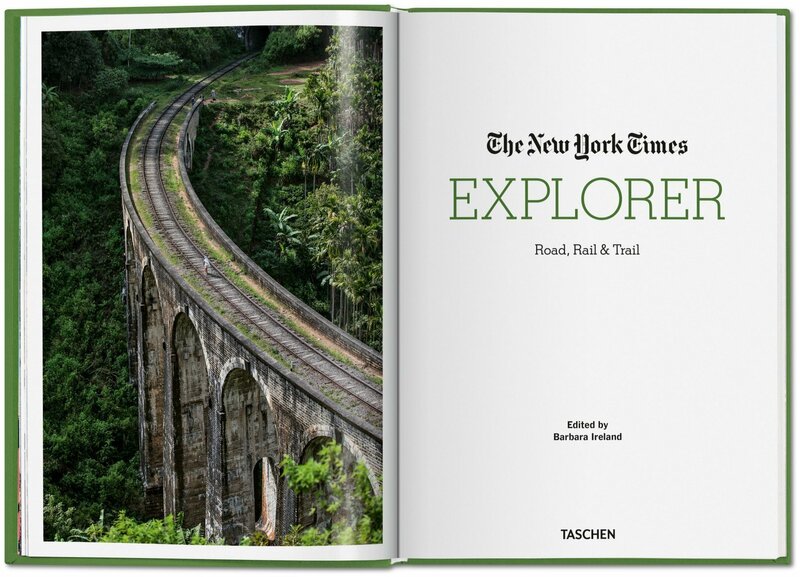 Whether it’s a snowy trek through Bohemia’s remote Jizera Mountains or a cruise across the Great Lakes on a cargo ship, the journey itself is the destination in the Road, Rail & Trail volume of TASCHEN’s Explorer series with The New York Times. 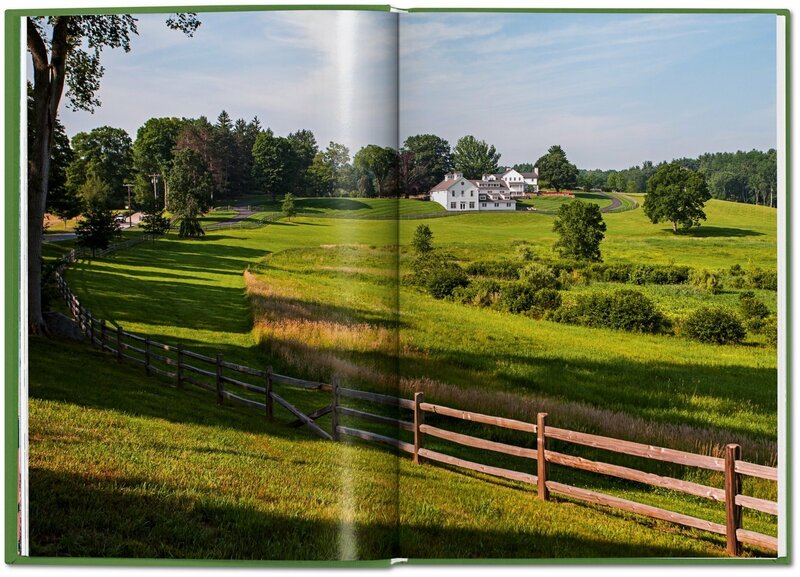 Follow Virginia Woolf’s footsteps as you explore gardens in the English countryside with Francine Prose. 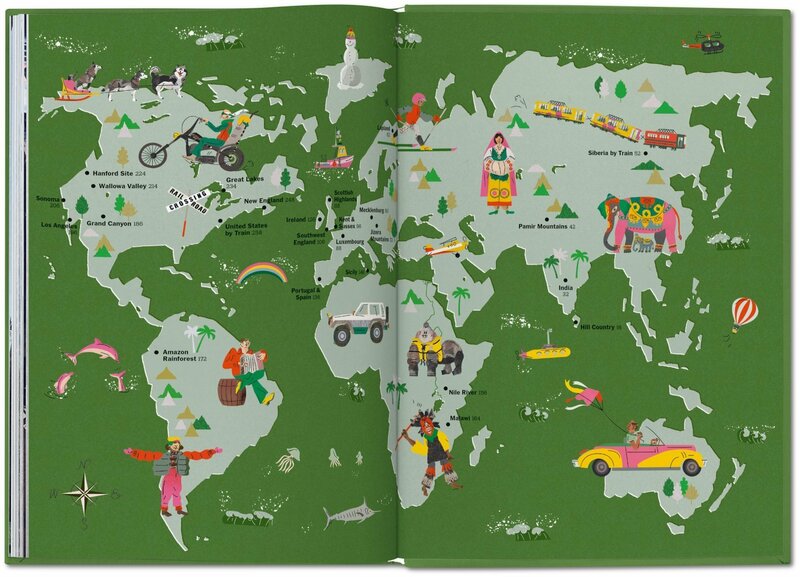 Marvel at India’s vibrant bird life with Somini Sengupta. 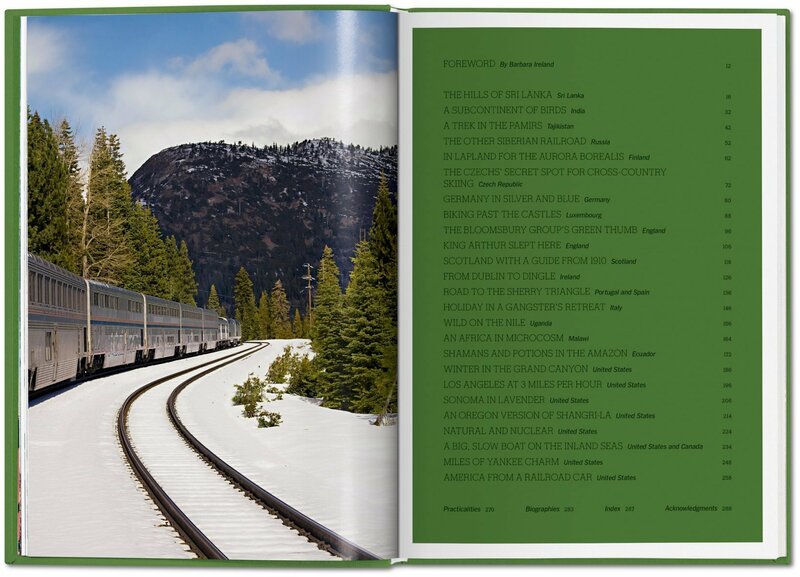 Or sit back and watch Siberia’s moonlit forests and Soviet-era relics zip by from the comfort of a train with Finn-Olaf Jones. 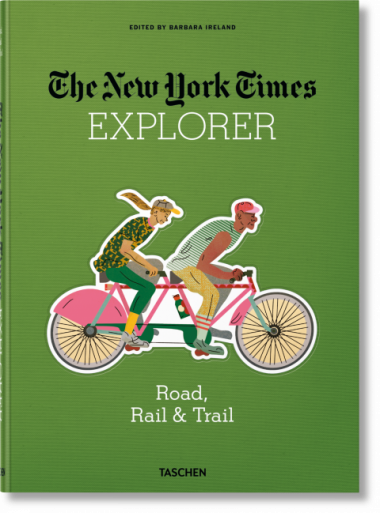 The Times writers are your guides through 25 dream trips, and the wealth of color photographs that accompany their writing capture the beauty and unique spirit of both far-flung and familiar locales. 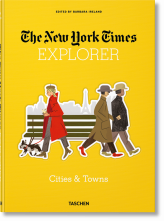 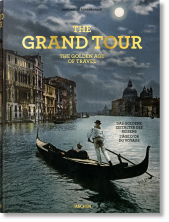 The Explorer series takes travel beyond the obvious with adventures in exotic places and new perspectives in familiar ones, all based on the distinguished travel journalism from The New York Times. 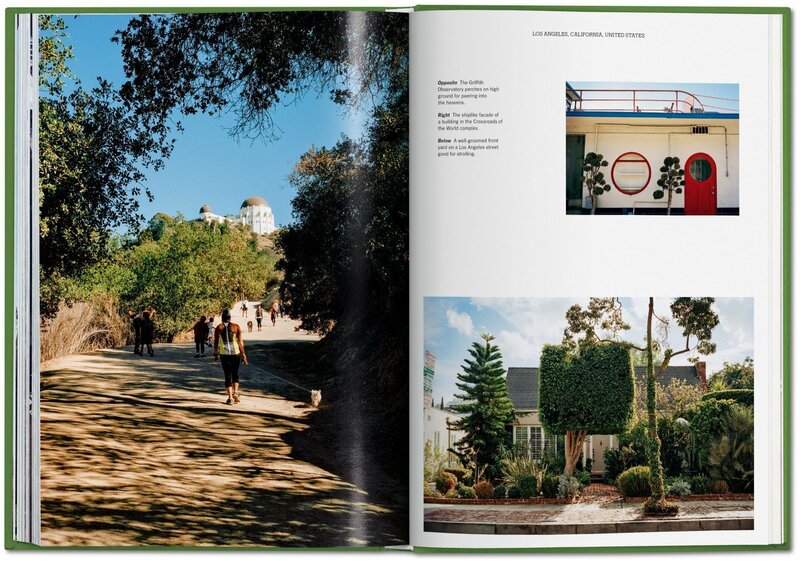 Each journey features a first-person narrative and postcard-perfect photography that capture the unique personality of the destination—as well as practical information to help get you on your way. 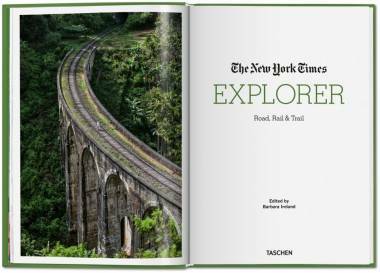 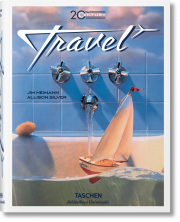 Edited by Barbara Ireland, whose 36 Hours travel series has been a TASCHEN best seller, the Explorer series is available in four volumes: Beaches, Islands & Coasts; Mountains, Deserts & Plains; Cities & Towns; and Road, Rail & Trail. 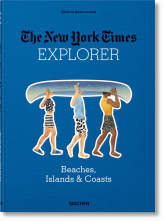 Barbara Ireland, a writer and editor based in upstate New York, is a former deputy Travel editor and deputy Op-Ed page editor at The New York Times. 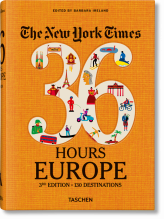 While on the Times staff, she commissioned and edited many travel articles and wrote a few herself. 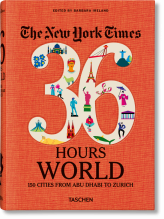 She is a graduate of Cornell University and was a John S. Knight journalism fellow at Stanford University.